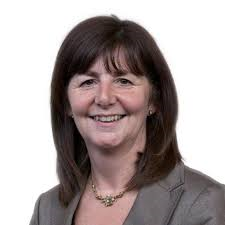 As part of Recycle Week, the Welsh Cabinet Minister for the Environment and Rural Affairs, Lesley Griffiths, provided an update on the Welsh Governments plan 'Towards Zero Waste'. The statement recognised the tremendous strides Wales has taken within recycling in recent years and sets out its intent to develop that success further. Although much can be applauded, the Minister recognised that "more needs to be done to improve our recycling rate still further and tackle litter and the issues associated with a "throw away" society and "disposable" culture". Special concern pointed to the issue of marine litter and support was offered to assist the actions that come from the work currently being undertaken by the Marine Litter Task and Finish group. Further support was offered financially to Local Authorities and Keep Wales Tidy "to encourage communities and individuals to take pride in their local environment". As part of the statement, new Extended Producer Responsibility research was announced. The study, which is currently being undertaken by Environment consultancy firm Eunomia, will "assess possible interventions to increase waste prevention, increase recycling and reduce land and marine based litter". Producer responsibility schemes will be studied as part of the research and will include Deposit Return Schemes. "I want to ensure we are making the most of the policy levers and mechanisms we have at our disposal. I also want to ensure future policy decisions are based on sound and robust evidence and made in the best interests of our beautiful country, making Wales a better place for all".